So a Florida court has ordered your co-parent to make monthly child support payments but he or she has failed to live up to the obligation to do so and now owes you back child support. What options are at your disposal for collecting the financial support that your child is legally entitled to? Read on to find out. Reporting past due support to credit agencies. Attend follow up compliance hearings. Note: Florida does NOT Impose a Statute of Limitations on Child Support Payments! Some Florida parents mistakenly believe that they are no longer entitled to collect back child support once their child is grown. While this is true in some states, please note that there is no statute of limitations on child support payments in Florida! 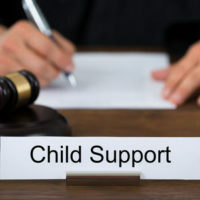 In other words, you can still try to collect the back child support that you are owed in Florida even after your child is grown and you no longer have an active child support order. In Florida you can even make a claim against a delinquent parent’s estate if they die while owing you back child support. However, it is important to note that waiting to collect back child support is never a good idea as the delinquent parent may be entitled to raise more defenses to your claim as time passes. For example, he or she may be able to claim laches or equitable estoppel if you wait too long before enforcing your rights. If your ex is behind on their Florida child support payments and you would like to do something proactive about it, contact the Mander Law Group today. One of our firm’s experienced family law attorneys would be happy to discuss your legal options with you during a confidential consultation at our Dade City office. Give us a call at (800) 557-0411.